The three Dread Doctors, the Surgeon, the Pathologist and the Geneticist, are a trio of human scientists who were enamored with the supernatural. The doctors enhanced themselves into esoteric superhumans using electromagnetism and pseudoscience. Their symbol is the ouroboros, the snake that eats itself. The Surgeon's human identity is a man named Marcel who lived in Gévaudan in eighteenth century France. Marcel was fanatically devoted to and in love with Sebastien Valet, the Beast of Gévaudan. 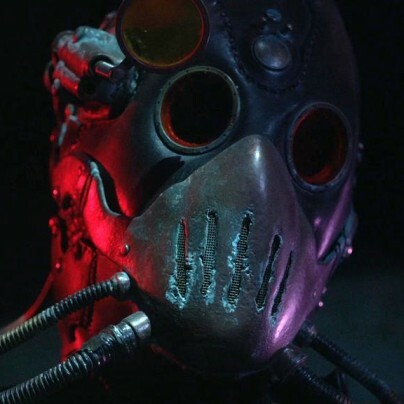 After Sebastien died, Marcel then became the Surgeon, creating his two comrades, starting the Dread Doctors' works to find a way to bring Sebastien back to life. 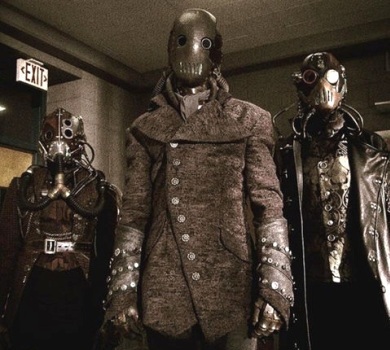 In Season 5, the Dread Doctors have come to Beacon Hills, California, to realise their ultimate goal: to resurrect La Bête du Gévaudan. They abduct numerous young people with genetic chimerism for their experiment. The Doctors then perform paranormal human experimentation on their abductees converting them into Chimeras including Tracy Stewart, Hayden Romero, Corey Bryant, Josh Diaz and Donovan Donati. 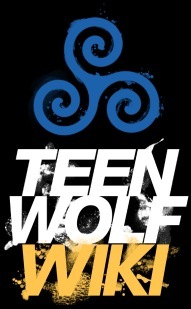 They become enemies of Scott's Pack in the process and employ Theo Raeken, their henchman to spy on and sabotage them. The Doctors kill off the Chimeras once they are declared failures until they find a genetic success in Mason Hewitt. The Doctors were once human, scientists who worshipped the supernatural. They uncovered the secrets of electromagnetism. In doing so, they rescinded their humanity, allowing them to prolong their lifespans, give them power, and the ability to erase themselves from people's memories. The Doctors are able to phase in and out of reality and space. They can teleport, are able to move distances without being seen and using electromagnetic waves, they can disable or disrupt electronics. They can induce illusions to incapitate their enemies. Because of their synchrony with frequencies, they are unable to infiltrate locations with a strong convergence of telluric currents. 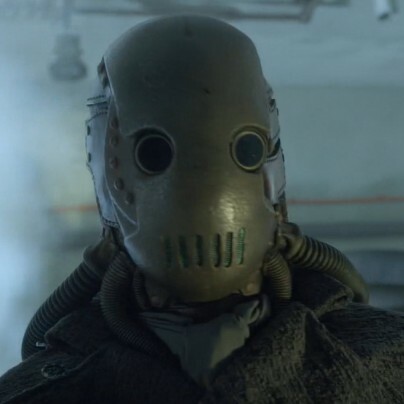 The Dread Doctors have conducted their experiments in Beacon Hills before and have caused havoc, resulting in multiple deaths sometime before the start of the series, which was witnessed by Gabriel Valack. At some point the Dread Doctors came across Theo Raeken. They experimented on him; he became their closest success of recreating a supernatural creature through science, and entered into a partnership with him. The Dread Doctors were drawn back to Beacon Hills when Stiles Stilinski, Allison Argent and Scott McCall renewed the nemeton. The leader of the Dread Doctors whom speaks the most. In 5x01 - Creatures of the Night, the Surgeon refuses to give Belasko another chance after he fails to kill Scott, that their time is limited. He kills Belasko with a rapier sword held in his cane. 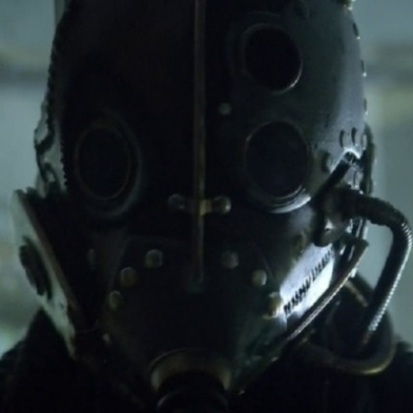 In 5x02 - Parasomnia, the Dread Doctors have summoned Tracy Stewart to their lair. He taunts her that sheisn't asleep, she's "awakening". He injects her with an overlarge needle, which Tracy roaring with the gold eyes and claws of a werewolf. The Pathologist conducts many of the heavy duty work, restraining victims and opposing foes. 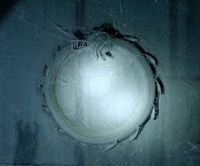 In Condition Terminal, he is kills Lucas with a retractible dart. In Required Reading, the Pathologist faces off against Scott McCall in the hospital during a power surge caused by one of the Chimeras. Because the True Alpha was suffering from his asthma, the Doctor got a hold of the werewolf, slamming him up against the wall and crushing his asthma inhaler. Malia Tate appeared and rescued her Alpha with a kick to the Pathologist's stomach and took him on. The Pathologist however, overpowered the werecoyote. The sole female Doctor. In 5x02 - Parasomnia, she and the Pathologist hold Tracy Stewart, one of their Chimeras while the Surgeon injects her with a modified needle so to activate her powers. In 5x04 - Condition Terminal, once the Surgeon decides Donovan Donati "looks promising", the Geneticist performs a procedure on the delinquent, tearing out his normal teeth, so to have Donovan grow new wendigo teeth to accentuate his transformation.